Poach whole fish in one piece while retaining flavor and keeping calorie count low. Includes lid and perforated rack insert to drain and lift fish out for an elegant presentation. Can also be used to cook corn and asparagus. Mirror finished stainless steel. Hand washing recommended. Poach whole fish in one piece while retaining flavor and keeping calorie count low. 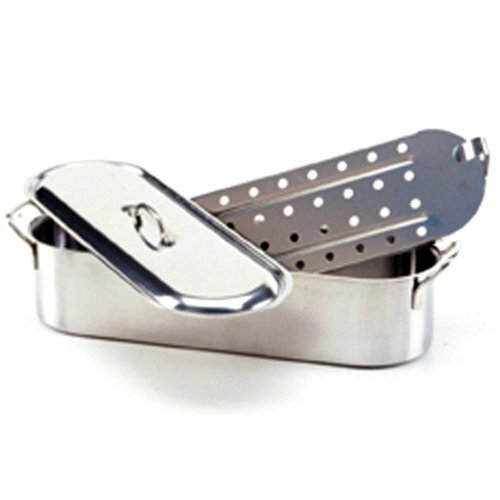 Includes lid and perforated rack insert to drain and lift fish out for an elegant presentation. Can also be used to cook corn and asparagus.